Do you own a lot of purses? Pocketbooks? Handbags? Clutches? Whatever you want to call them many of us have more than we actually use. But, I am an accessory gal (shoes, jewelry, purses) I love ‘em all. But, keeping them organized can be a challenge. Here are some ideas for keeping your purses from taking over when you aren’t using them. • There are over the door purse holders available now. You can purchase them through catalogs, online and at some major retailers. I have one and do use it for purses I frequently use (yes, I am one of those that changes purses like I change my underwear- frequently) My only reservation is that if you have as many purses as I do you would need to use every door in the house to hold all the purses. • If you have extra room in a closet or armoire, you can buy some shower curtain hooks and hang purses from those in the closet. • Use large, clear bins to store purses. I recommend clear so that you know which purse is in which bin. • Adjustable shelves can turn your purses into a work of art on a wall in a spare bedroom or office. Remove everything from the purse- don’t leave old gum, cough drops, coins, etc. in the bottom of the purse. Take receipts out and file them if you need them for any reimbursement purposes and if not, pitch them/shred them. Empty wallets and store them separately. 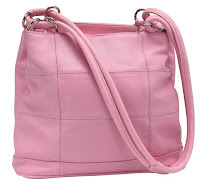 When you are storing purses, store them upright as much as possible so that they do not lose their shape.